We've seen plenty of suggestions that Mars was once home to some form of microbial life. But a new discovery reveals that the planet may have once been bustling with all types of ecosystems—even a lakebed habitat conducive to life. Remember that awesome NASA time-lapse that showed what Mars may have looked like millions of years ago? It may not have been all that far off, if the new data is accurate. Given all the evidence as a whole, we have no reason to believe researchers are wrong. The new data was collected from Curiosity analysis, and found that a potential lakebed, discovered at a site called "Yellowknife Bay" had an environment favorable for microbial life many, many years ago—like four billion years. The site itself has a clay-rich habitat, offering key chemical elements for life—water there wouldn't have been too acidic or salty—and an energy source, which could have been a mix of sulfur and iron-containing minerals. Researchers estimate that chemolithoautotrophs may have existed at the lakebed site. 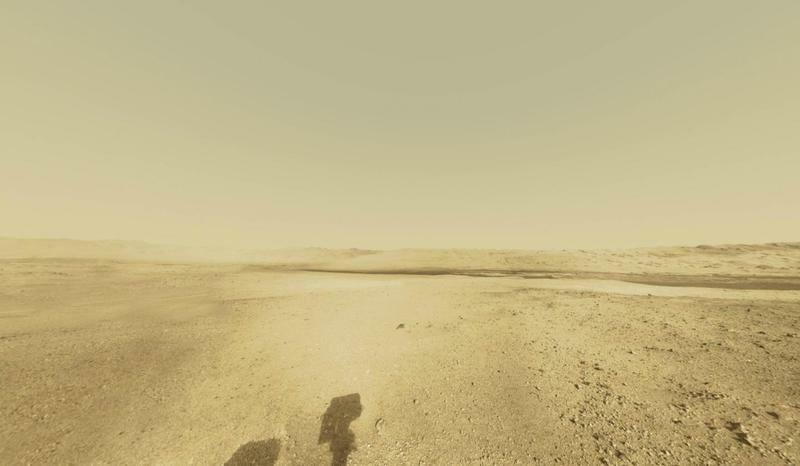 Since Curiosity has been on Mars, the rover has repeatedly found evidence of water and life on the Martian planet. In addition to finding water in the soil, and possible evidence of a Mars ocean, it's becoming more difficult to ignore the signs. The latest research suggests habitable conditions at Yellowknife Bay may have persisted for millions to tens of millions of years, though the Red Planet surface eventually dried up. Best of all, though, is that the latest data has provided researchers with measurements to predict radiation levels on the Mars surface. "Our measures provide crucial information for human missions to Mars," said Don Hassler, who helped pen the report of the newest findings. "We're continuing to monitor the radiation environment and seeing the effects of major solar storms on the surface at different times in the solar cycle, will give additional important data." And the most crucial part, are the organic chemicals. Radiation levels may have fried the actual building blocks of life many years ago—but that's why Curiosity's ongoing mission is so important. It's gone this far, and maybe it'll make even bigger discoveries the more it keeps looking.